Home / The Buzz / We Just Love All dogs! Here are the current top ten best dog breeds, as voted for by dog lovers across the country. You can’t beat the quirkiness and adorable traits of a mixed breed dog. Unlike a crossbreed (two pure-bred dogs mating), a mixed breed’s family tree can be unknown – creating wonderfully unique puppies. You can usually spot which breeds are in there, giving you a clue as to the dog’s temperament. We’ll be honest: we expected this lovable dog to rank higher than number 9. Their calm nature makes them wonderful family pets, and they get on well with other animals. They’re easier to train than many other breeds, but really need to be kept active. Expect lots of love and devotion. And hair. Lots of hair. These elegant dogs are so loyal to their packs, we can see why they’re such a popular breed. Their intelligence has led to them being one of the most “employed” dogs, used by armed and police forces worldwide. At home, they’re loving and playful, but need an experienced owner’s guiding hand, as it’s essential they know their place in the pack (not the alpha). We’re so pleased that these enthusiastic and extravert dogs have made the top ten! If you want a dog you can really have fun with, boxers live life to the full. They need training from an early age to harness their exuberance (and their intelligence means they’ll easily pick up bad habits as well as good ones), access to a large garden also helps. Those ears! It’s impossible to look at a Cocker Spaniel without melting. And their temperament is as lovely as their appearance, as they’re gentle and eager-to-please. They’re also adaptable, so don’t need a massive outdoor space to keep them happy. If you’ve never owned a dog before, these friendly and trainable dogs are a good place to start. Just springing over its little Cocker brother (haha), this intelligent spaniel makes a wonderful family pet. Like the Cockers, they’re adaptable; but having said that, they do need a fair bit of exercise and stimulation so they may not be the most suitable apartment dogs. Their working nature means they’re great at agility, and if correctly trained, their liveliness is combined with a tolerant temperament. Aw… The lab was last year’s winner – but knowing these generous dogs, they’ll graciously hand over the top spot to their canine chums. They’re lovely, lovely dogs who adore their owners, get on well with kids and other pets, and are always trying to please. As all lab owners know, they can be food motivated, so here are our tips for keeping your Labrador happy & healthy. As we wrote in our recent blog all about cockapoos, these are fantastic pets. Loyal and friendly, the sweet cockapoo makes an ideal first dog for a novice owner. They don’t shed much (some scarcely drop a hair), but their gorgeous silky coat is high maintenance, unless they’re a Guru Geekster of course! You can read all about how the Cold Pressed oils within our food, help maintain their beautiful, shiny curls. They’re also loving and affectionate companions, who enjoy human company. And new in at number one… the much-loved Staffie. A small dog with a big heart, these bouncy terriers absolutely adore their human family and love to spend time with people. Early training results in a well-behaved and loyal pet (although they do have a stubborn streak. Think four-legged toddler). Their high-energy approach to life means it’s extra-important to feed them plenty of protein: we recommend Guru’s meaty venison sausages as a special treat for this number one dog. So that’s the top ten of Britain’s favourite dog breeds, as voted for by ITV viewers. Did your pet make the list? 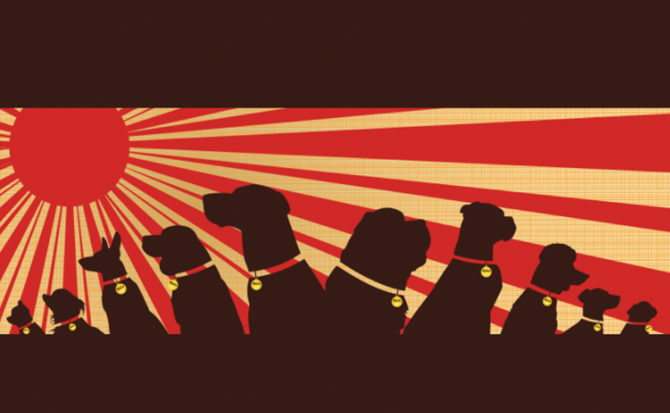 It’s always fun to have a poll – but to us, they’re all top dogs! In fact, we just love ALL dogs… the next dog we meet, is probably going to be the best dog we’ve ever met!